Röhling S, Demant B, Dunger K, Neubauer M, Oehmichen K, Riedel T, Stümer W (2019). Equations for estimating belowground biomass of Silver Birch, Oak and Scots Pine in Germany. iForest 12: 166-172. In this study we derived allometric functions for estimating the belowground biomass (BGB) of Silver Birch (Betula pendula Roth), Pedunculate Oak (Quercus robur L.), Sessile Oak (Quercus petraea (Matt.) Liebl.) and Scots Pine (Pinus sylvestris L.) in Germany. To assess the impact on German greenhouse gas (GHG) reporting, these new functions were further compared with BGB functions currently used in France and Sweden. For developing new BGB functions 48 Silver Birches, 39 Pedunculate and Sessile Oaks and 54 Scots Pines were destructively sampled. The sampled trees spanned a DBH range from 8.2 to 52.9 cm for Silver Birch, from 7.4 to 42.0 cm for Oak and from 7.2 to 53.2 cm for Scots Pine. After fitting the data, the following values of model efficiency were achieved: 0.81 for Silver Birch, 0.98 for Oak and 0.95 for Scots Pine. The model root mean square error varies between 5.2 kg for Oak, 13.7 kg for Scots pine and 26.9 kg for Silver Birch. Comparison with the currently applied BGB functions in the German GHG inventory from France and Sweden showed that the use of these functions results in systematically different estimates for the BGB of Silver Birch and Oak. Thus, our findings indicate that BGB functions recommended for other European countries (in particular France and Sweden) are not appropriate for estimating the BGB for the tree species concerned in Germany. Currently, the derived data-set for BGB of Silver Birch, Oak and Scots Pine is the largest in Germany and the developed functions are thus the best available for estimating national BGB stock and stock change in Germany at the moment. Species-specific and generic biomass equations for seedlings and saplings of European tree species. European Journal of Forest Research 135: 313-329. Estimating coarse roots biomass in young silver birch stands on post-agricultural lands in central Poland. Silva Fennica 47: 2. Relationships between tree dimension and coarse root biomass in mixed stands of European beech (Fagus sylvatica L.) and Norway spruce (Picea abies [L.] Karst.). Plant and Soil 264 (1-2): 1-11. Measuring carbon in forests: current status and future challenges. Environmental Pollution 116 (3): 363-372. Estimating root system biomass from breast-height diameters. Forestry 74 (5): 492-497. Development of structural root architecture and allometry of Quercus petraea. Canadian Journal of Forest Research 29 (5): 600-608. Chapter 6.4: Forest Land (4A). In: “Submission under the United Nations Framework Convention on Climate Change 2017. National Inventory Report for the German Greenhouse Gas Inventory 1990-2015”. Federal Environment Agency, Dessau, Germany, pp. 563-600. Below- and above ground biomass distribution of young Scots pines from plantations and natural stands. Bosque 37 (3): 509-518. Revised supplementary methods and good practice guidance arising from the Kyoto protocol (Hiraishi T, Krug T, Tanabe K, Srivastava N, Baasansuren J, Fukunda M eds). Intergovernmental Panel on Climate Change, Geneva, Switzerland, pp. 268. Supplement to the IPCC guidelines for national greenhouse gas inventories: wetlands (Hiraishi T, Krug T, Tanabe K, Srivastava N, Baasansuren J, Fukunda M eds). Intergovernmental Panel on Climate Change, Geneva, Switzerland, pp. 354. Above- and belowground phytomass and carbon storage in a belgian Scots Pine Stand. Annals of Forest Science 56: 81-90. Biomass production and allometric above- and below-ground relations for young birch stands planted at four spacings on abandoned farmland. Forestry 80 (1): 41-52. Stump and root biomass of poplar stands. 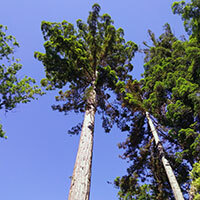 Forests 3 (2): 166-187. Equations for estimating above- and belowground biomass of Norway spruce, Scots pine, birch spp. and European aspen in Latvia. Scandinavian Journal of Forest Research 33 (1): 58-70. Functions for below-ground biomass of Pinus sylvestris, Picea abies, Betula pendula and Betula pubescens in Sweden. Scandinavian Journal of Forest Research 21 (7): 84-93. Biomass functions for Scots pine, Norway spruce and birch in Finland. Working Papers no. 53, Finnish Forest Research Institute, Joensuu, Finland, pp. 28. Biomass equations for birch in Finland. Silva Fennica 42 (4): 605-624. Functions for estimating belowground and whole tree biomass of birch in Norway. Scandinavian Journal of Forest Research 31 (6): 568-582. Biomass production, foliar and root characteristics and nutrient accumulation in young silver birch (Betula pendula Roth.) stand growing on abandoned agricultural land. European Journal of Forest Research 126 (4): 495-506. Fine root biomass of Scots pine stands differing in age and soil fertility in southern Finland. Tree Physiology 19 (12): 823-830.